● Sign up for the newsletter and receive a 10% off code, as well as the chance to win one of five $20 gift cards monthly. Also get information on online offers and promotions. ● Free shipping is offered on US domestic orders of more than $49. International offers exceeding $79 also ship free. This seems to be an ongoing offer, but might be subject to change. ● Check out the group buy tab for current sales on popular items. If enough people buy, the deal is on. ● Find products for at least 50% off in the sale section . ● Check out the coupons page on the AbHair website to see what’s available before you place your order. 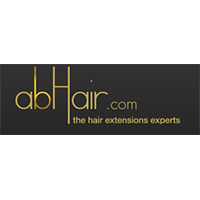 abHair offers a wide range of products related to hair extensions, in addition to a number of other items. You can use this website to shop for such products as clip-ins, virgin hair, weft, tape-ins, wigs, hair pieces, fashion accessories, and much more. You will also find that abHair offers a varied assortment of collections that you can check out, including Celebrity Look, Ombre Collection, Color Collection, and the Halloween Wigs Collection. You can break down each of the categories according to more specific terms, looking for products according to things like type, hair texture, length, weight, features, and a great deal more. There is also a points reward program. For most up to date offers check out Abhair on Facebook and Twitter or contact Abhair Support for any questions.